Valley Retail Park. Pic by Google. Police are appealing for information following a report of a burglary at retail premises in the early hours of this morning (Tuesday, October 17). 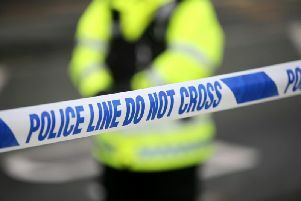 Detailing the incident, Inspector Colin Ash said: “A report of a burglary at premises located at Valley Retail Park in Newtownabbey was reported to police shortly before 9am. Inspector Ash added: “We’re appealing to anyone who may have been in the area at the time and saw anything suspicious, anyone who is offered any new household goods for sale or who knows anything about the incident to call police on 101, quoting reference 249 of 17/10/17.